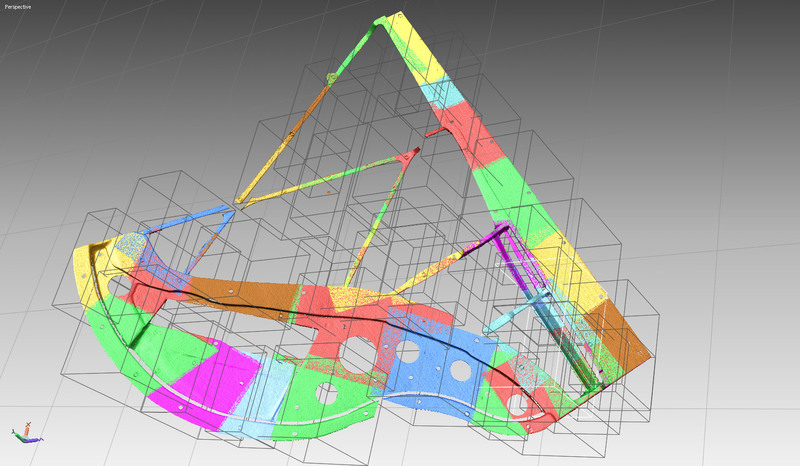 Simpact have been making effective use of 3D geometry capture tools and, more specifically, laser scanning for over a decade. 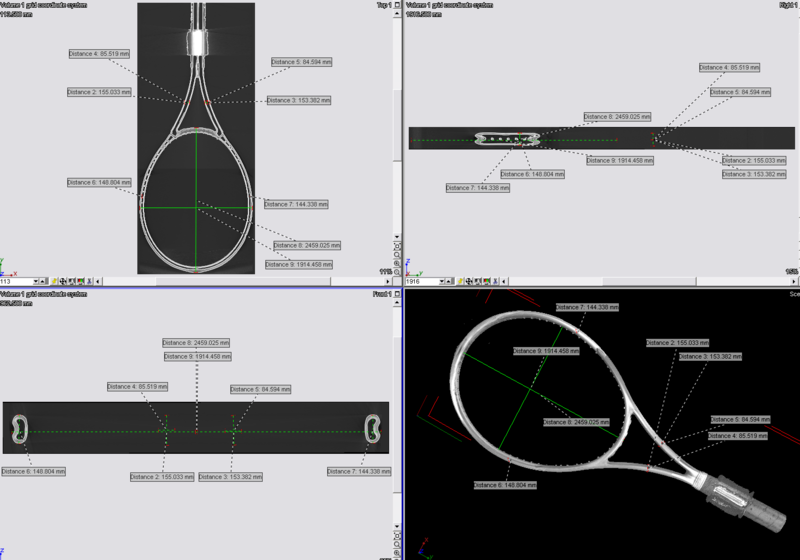 We have this capability in-house and make use of this technology to generate a CAD model where it may not exist (ie. our customer only has a hand built prototype) or to support our modelling activities (such as correlating the deformed end state of a finite element model to crash test). 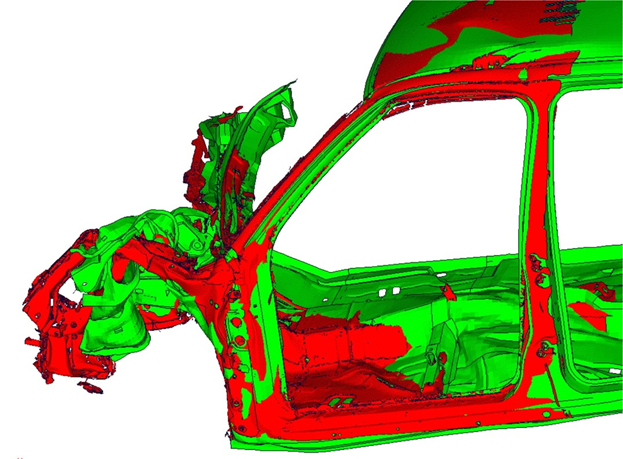 Laser scanning is useful for capturing the external surfaces of components with a great deal of accuracy (typically up to 50µm). As it operates on a line of sight principle, surfaces which are difficult to see cannot be captured and an alternative process such as one of those below is required. We use a range of laser scanning hardware to suit the application ranging from close range (our in-house Konica Monolta Vi-9i) for accurate data capture to long range (FARO X360) for collecting large volume datasets at a moderate accuracy. 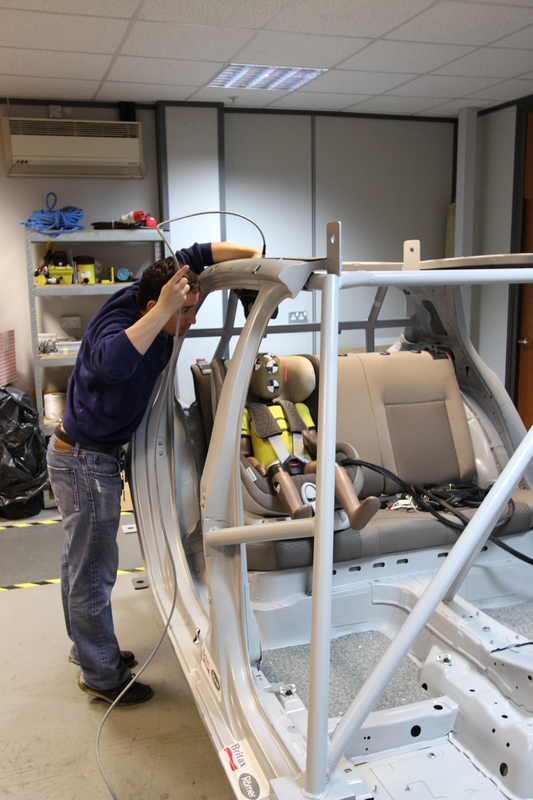 We have used the FARO X360 for the 3D capture of complete railway carriages and human body geometry for ergonomic assesement (also detailed in our Publications area). 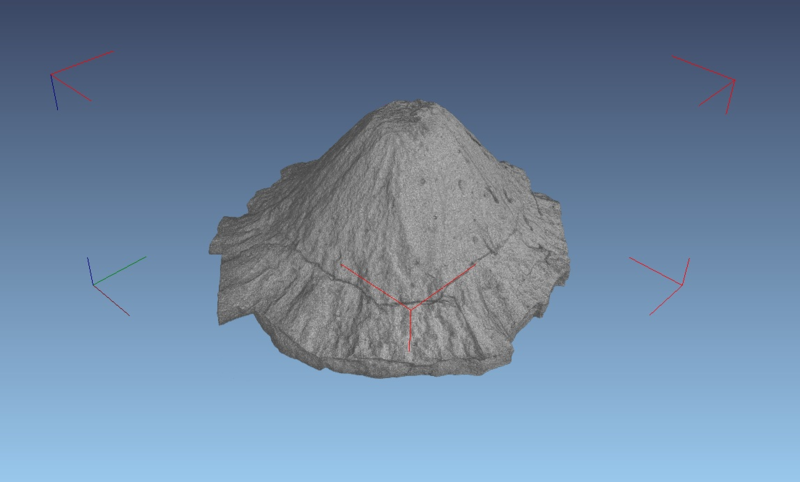 For the generation of CAD geometry from the point clouds or STL data that results from laser scanning we make use of the industry standard Rapidform (now Geomagic) software which is capable of interpreting large volumetric point clouds and the rapid generation of surfaces. 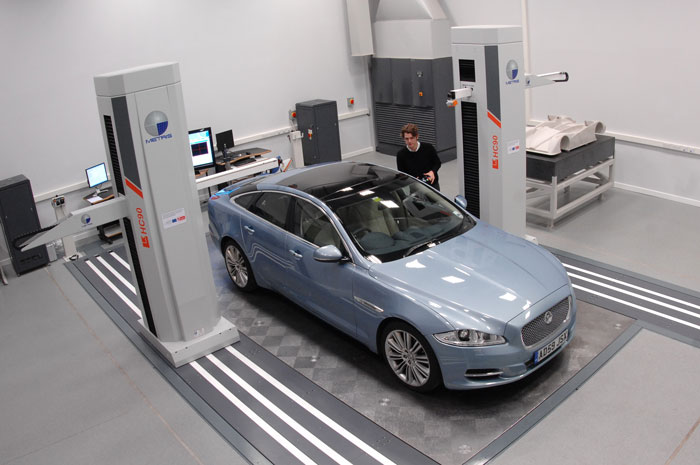 This facility, housed at the University of Warwick, is suitable for the discretisation of large objects such as vehicles. 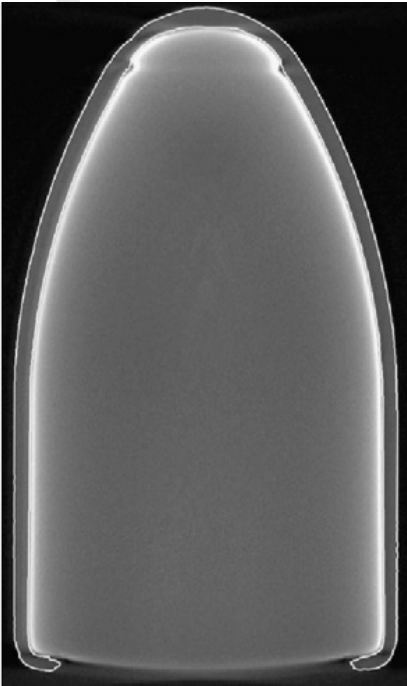 It can be very useful for overall geometric inspection, makes use of a range of scanning arm and scanning head technologies and can produce highly accurate results (typically in the range of between 5µm and 50µm). 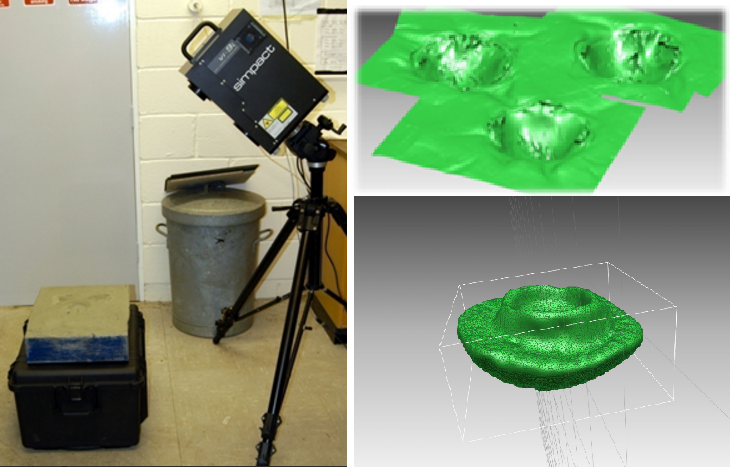 Simpact have made extensive use of Micro CT scanning as it enables the high resolution capture of the complete 3D volume of an object. 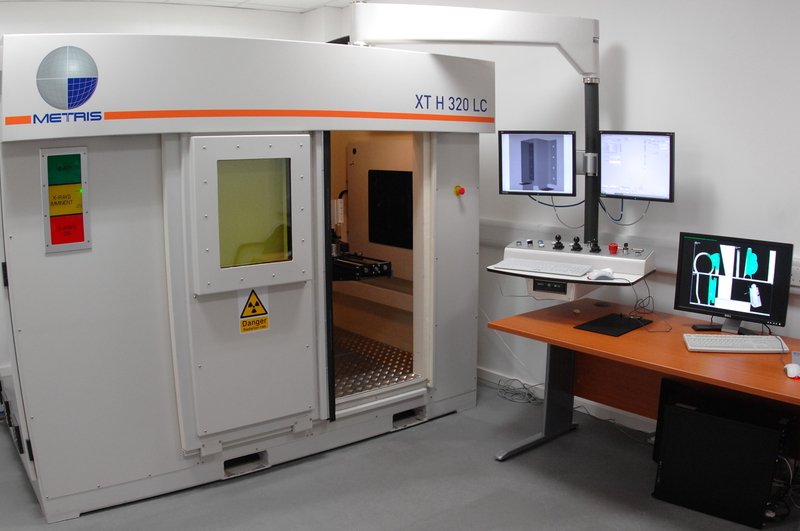 We use the Nikon Metrology XT H 320 LC at the University of Warwick for the non-destructive discretisation of relatively small objects and the dimensional inspection of internal features. 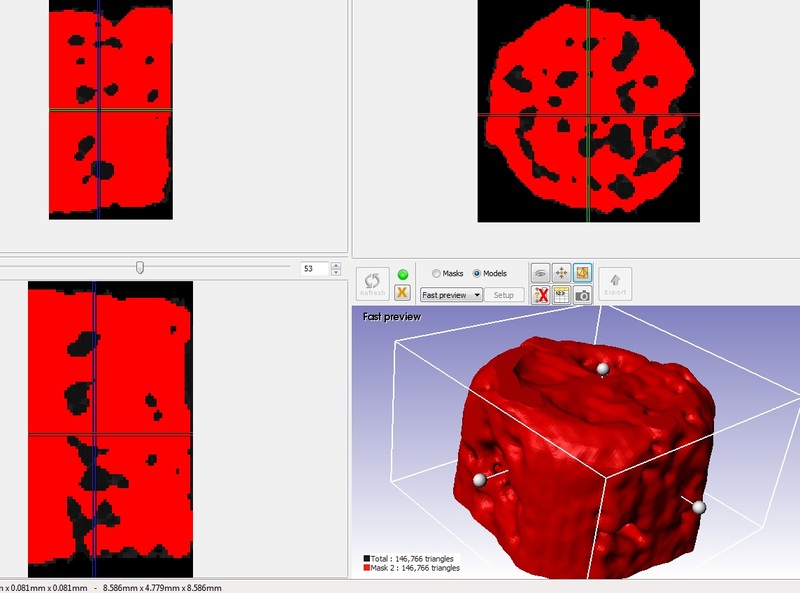 The system projects a number of X-ray images through the object using a source of up to 320KV and reconstructs a 3D model composed of voxels. 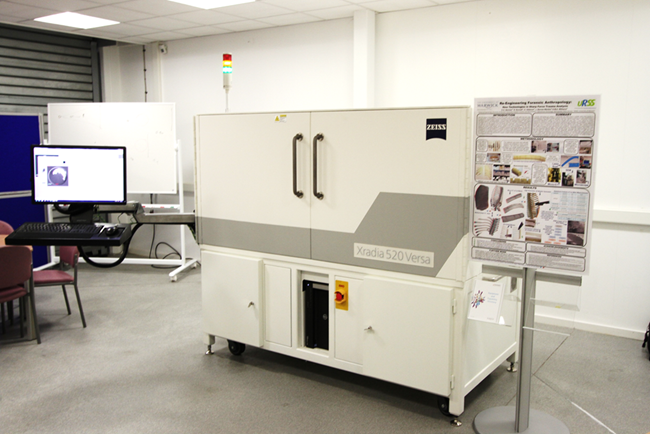 The system is designed to scan relatively small objects (250x250x600mm) at a resolution from 5 to 120 µm. 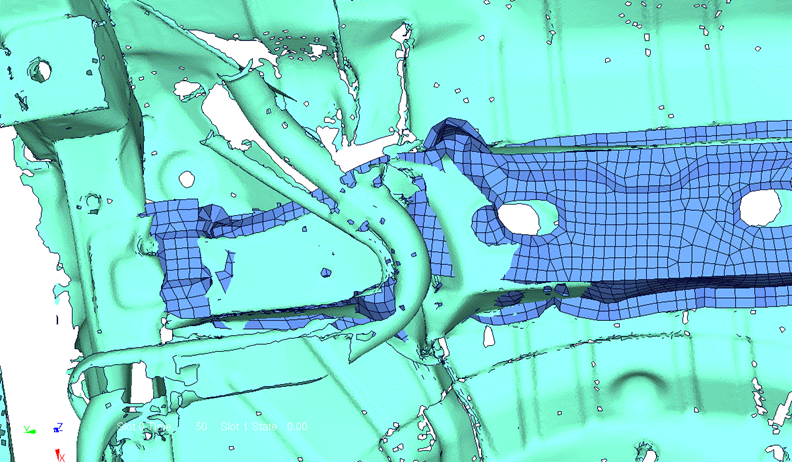 Output can be processed into STL data which is useful for our modelling activities. 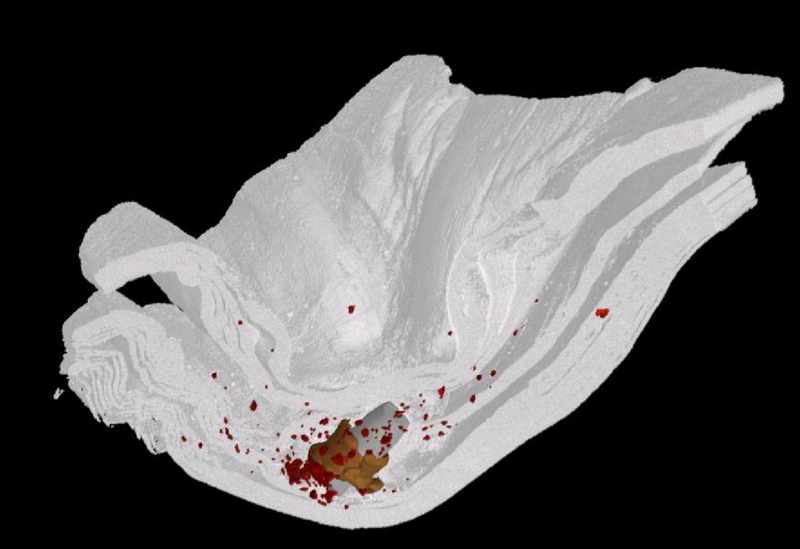 The Micro CT scanner is the subject of several joint publications where we have successfully developed a technique to characterise bullets in 3D. This has been key to the accuracy of our modelling activities in the area of defence as it has enabled us to use the actual bullet geometry instead of nominal dimensions described in the standards. With the voxel size range of 170nm to 27 micros of the Zeiss Versa 520 it is possible to capture the geometric state of the components within a typical composite material. 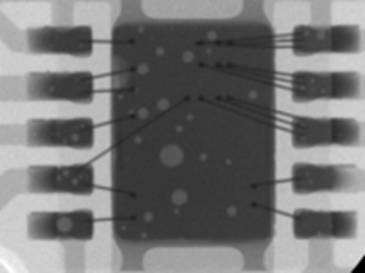 Together with University of Warwick, Simpact has applied this technique to capture 3D image data and developed the process to derive internal strains in pre-strained samples using Digital Volume Correlation. 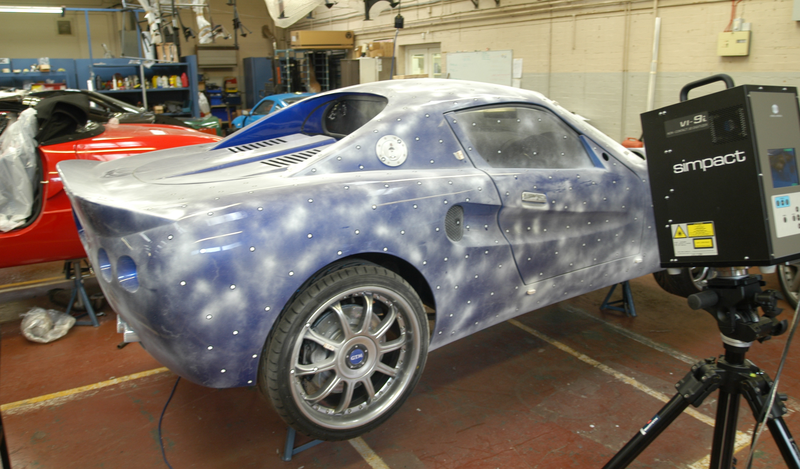 The PACET, Pre-strain Analysis of Composites using Emerging Technologies, project was sponsored by Innovate UK. PACET enabled Simpact to engineer composite materials to maximise their mechanical properties and make them suitable for use in demanding environments. 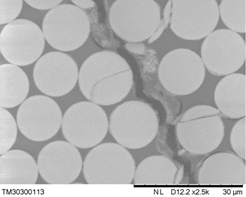 We also identified the process to be valuable in the study of creep/relaxation of composites. This is relevant for structures that are subjected to high static load levels for a long duration, such as our composite piano, the ‘Carbiano’. We found that little information is readily available to predict required piano tuning intervals for a given engineering solution. 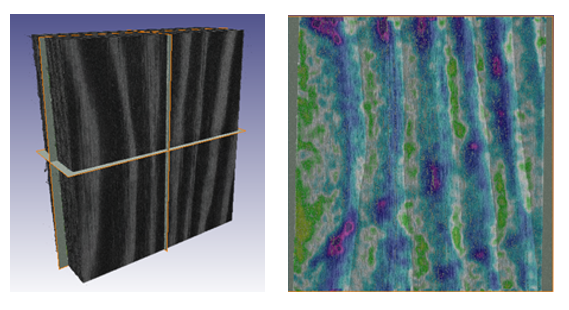 Furthermore, submicron CT imaging proves useful in the fatigue assessment of composites, another area of research that Simpact is involved in with WMG through a knowledge transfer partnership.